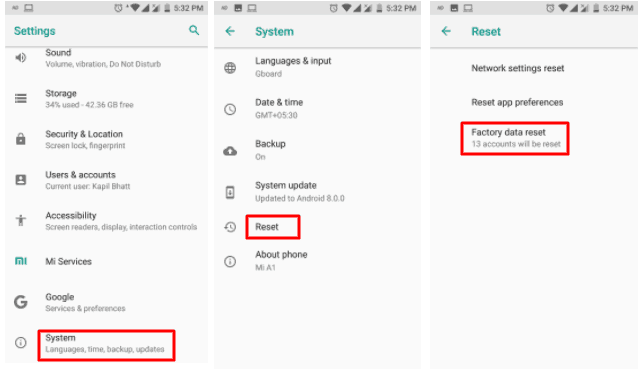 If you are on this page from any medium so, perhaps you’re a victim of that bugging network error, “Mobile Network Not Available.” How often have you faced this error on your Android smartphone? A hell lot of time, I guess, right? However, it’s a basic error caused by OS malfunctioning. Well, it’s a grim situation for anyone, those who are witnessing it time and again when they are about to make a call. Imagine, you’re in an urgency to make a call to your boss, and suddenly a pop-up appears letting you know, “Mobile Network Not Available.” Huh, a worst case scenario it is. Fortunately, you peeps aren’t completely out of luck. You can fix it out with the ease of some smartphone tweaks. But not to imply it’s easy. All you need is a proper working method. As for a reason, I am writing this article for you guys those who literally got annoyed by this error. Though, if you want yourself to get rid out of this tormenting error, just scroll down and have a look for some of the listed proven methods. With the help of these handy methods, it’s been easy for anyone to fix the error right away. So, without further fuss, let’s have a look. Before starting with the methods, I would like to introduce you why it’s happening to your smartphone. Put Airplane mode on off. NOTE: All the listed methods are tested proven and working on almost all devices. But the irony is, I don’t know what’s the actual problem with your phone so, in that case, I won’t suggest you any particular method. I have listed all the working ways which generally works for most of the devices. And I hope it works for you as well. Let’s start with the easiest way to terminate this error. Network selection process could be a possible reason for the problem you’re facing yet. If it didn’t work for you, no worry just head to the second method. Restart your phone, and you’re done. Doing this will aid you to get rid of the issue if it was happening due to the improper radio signals broadcasting. 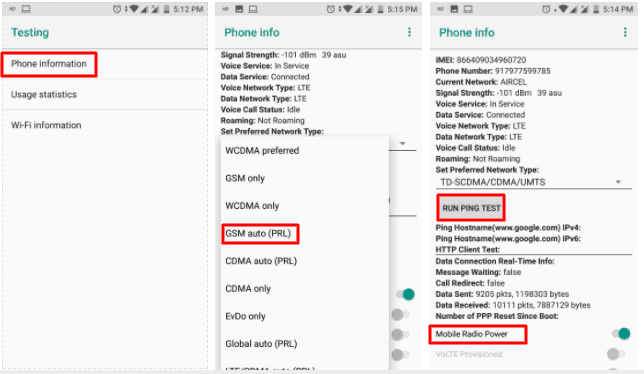 In this method, we will try to resolve the error with the help of a third app known as “Network Signal Search.” It is used to boost the signal strength of your phone’s network. It’s a freemium app available of Google Play store. 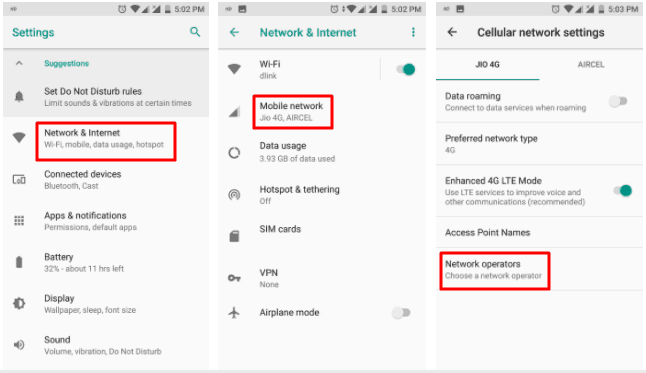 Install it right away if you are still getting “Mobile Network Not Available” error on your phone. 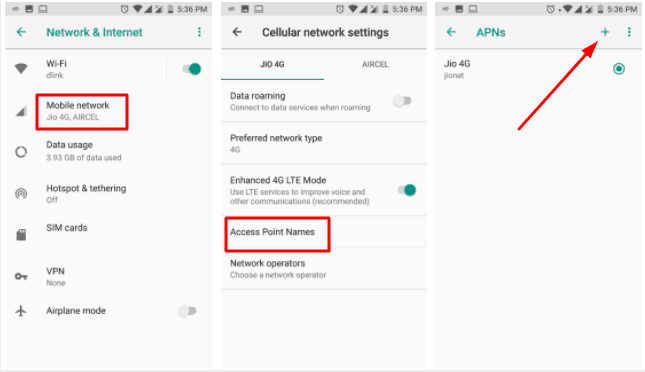 If you are facing “error while searching for network” so, mind it this method is must for you. Sometimes this caused by the displacement of your sim card. As for a reason, the mobile not available on network error may also occur. 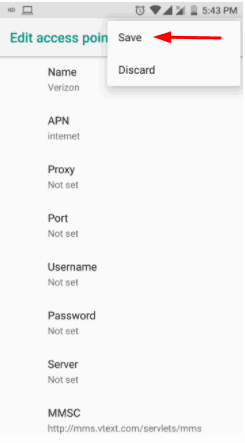 Now, navigate to the Mobile Network settings, and then you have to keep pressing the “Power” and “Home” button together until your phone gets turned off. Then gently remove the battery from your device. And after that press the “Home button” and the “Power button” together at least for the ten times in a row. Now, press and hold the home and power button for two mins that will lead to the drain of remaining static charge. And Boot up the Sim card on the phone without pulling the back case. In a switched ON condition, insert and remove the sim card for the three times. Now, you will be urged to restart your device. Do it. Once you are done by restarting your phone, you will notice no more error on the way to make calls. Doing this will fix the firmware problems causing the error. Firstly, turn off your device. Then press and hold the Home, Power, and Volume Up buttons all together until you get Android logo on your device screen. Now, use “Volume Up” and “Power Key” button in order to highlight or select any options and confirm it respectively. Tap on “Delete all user data” and confirm it. Wait till the “Reboot system now” option appears on your screen. Select it, and your phone starts restarting. 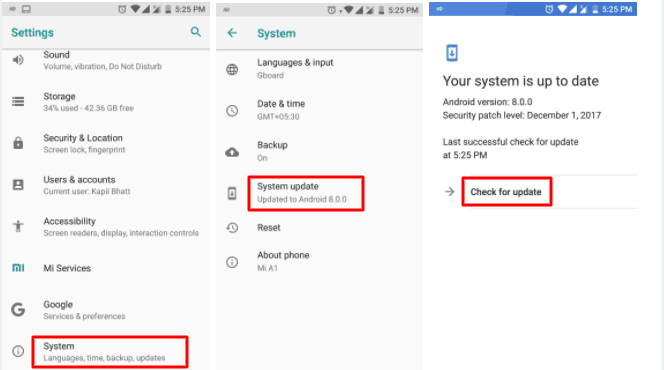 If you are using Verizon and your phone’s software is up to date, but nonetheless, any of the above methods don’t work for you so, do update your APN Settings’s. Usually, Verizon users face the network issue because of their wrong APN configurations. Follow the steps given below that will aid you to get rid of this bothering problem. Save configurations and you’re done. Thanks to the aforementioned methods that will aid you to get your “Mobile Network Not Available” error fixed. The concluded list comprised of all the general methods available on the World Wide Web.